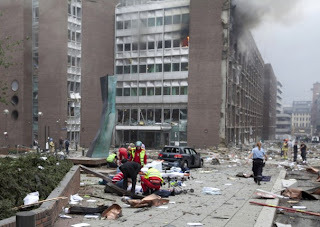 23/07/2011 ETLJB expresses profound solidarity with the people of Norway following the explosion of an enormous bomb in the capital city Oslo yesterday, 22 July 2011, and an apparently related massacre of more than 80 youth on the island of Utoeya. Norway has been a strong supporter of East Tmor. Norway is the most important donor in the petroleum sector and East Timor is the largest recipient of aid from the Oil for Development programme. Norway is also one of the main donors in the field of hydro-electric power and electricity supply.